I realized that I never posted anything about this track. …it has been long due to finally give a little background info on how it came to life. So Noel (real name Noel Pagan) is an awesome singer that had two #1 hit dance chart songs in the late 80’s; “Like a Child” followed by “Out of Time”, both released in 1988. The track “Like a Child” has a very distinct bassline that piqued my interest, when I first heard it in the mid 00’s, way later than its release date. At this time, I was also a huge fan of Joachim Garraud, a french DJ and producer known for his co-op with David Guetta, Jean-Michel Jarre, and many more. He also created “F*** Me I’m Famous records” with Guetta, and had a huge success on the Electro house scene overall. Along with his busy music production, he also created the Space Invader mascot that became his signature alias. 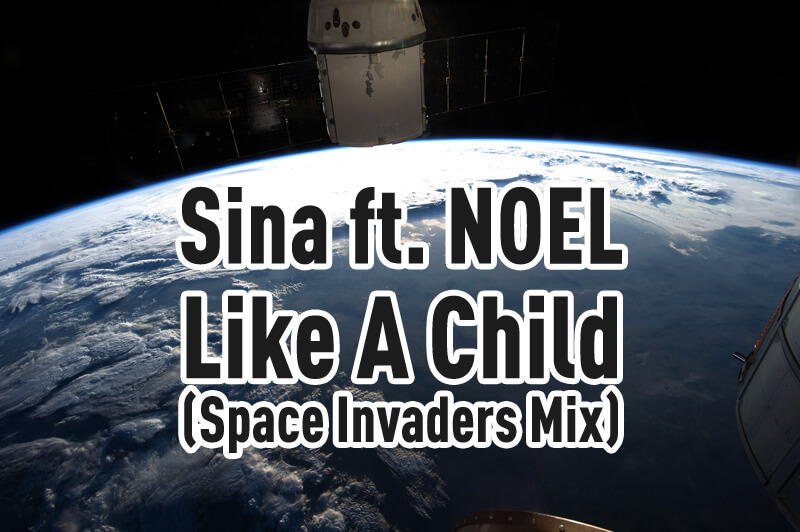 Fast forward; while listening to Noel’s track, I received an acapella of Joachim Garraud’s “Space Invaders”, and the vocals were just the right tool to accompany with “Like a Child” – knowing that the original Space Invaders was a classic arcade game by Tomohiro Nishikado in the late 70’s. So these components resulted in some experimentation with my studio setup at the time, and a 192 kbps MP3 was exported — just for fun. It was never meant to become an actual remix track. But now, after all these years, I have uploaded it to my YouTube channel, followed by this short trivia about Noel, Joachim Garraud, and Space Invaders. You can download Like a Child (Space Invaders mix) for free and have taste of the good ‘ol 80’s.